Vodafone India, has announced the launch of Superfast 3G services on its own network in Aizawl in Mizoram. To provide high speed mobile internet services to its valued customers in the capital city of Mizoram, Vodafone has so far deployed 59 new 3G towers and continues to add more sites. The new Superfast Vodafone 3G will enhance the service experience such as multimedia, high speed mobile broadband, internet access with the ability to view video footage on one’s mobile handset. Also, with a 3G phone and access to the Superfast Vodafone 3G network, one can make video calls, watch live TV, access the high speed internet, download large email attachments faster and download music tracks, as well as the usual voice call and messaging services found in a mobile phone. Vodafone, so far, has been offering 3G services in Assam & North East circle via bilateral roaming agreements (ICR) with other operators. In March 2015 auctions, Vodafone India acquired 2100 Mhz (3G) spectrum for Assam & North East circle and has made significant investments to modernise its network to offer faster, smarter and better 3G services to its customers on its own network. Vodafone India has more than 4.8 million customers in Assam & North East Circle with 40% being data users. Vodafone has been rolling out its own 3G network in a phased manner across Assam & North East Circle. It has recently announced the launch of its own 3G services in Jorhat, Guwahati, Tezpur, Dibrugarh, Nagaon, Digboi, Tinsukia, Bongaigoan, North Lakhimpur, Barpeta & Goalpara in Assam; Itanagar, Bomdila, Tawang, Along, Basar, Bhalukpong, Dirang, Changlang, Palin & Seppa in Arunachal Pradesh; Kohima & Dimapur in Nagaland; and Jowai, Nongpoh, Tura & Shillong in Meghalaya. Vodafone has invested more than Rs 500 crores to modernize and upgrade existing voice and data network in ANE circle. 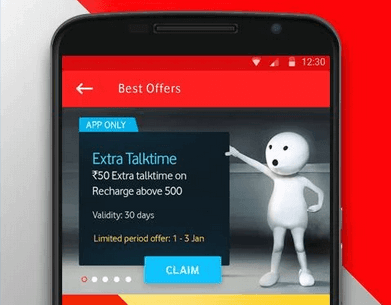 Vodafone India as the country’s leading telecom service provider is committed to support the Government and play an anchor role in establishing a world class mobile network for its customers. Vodafone India, in addition to Rs 111,000 crores already invested in the country since entry in 2007, had announced an additional investment of Rs 13,000 crores in November 2015 for capacity augmentation and new business initiatives, reiterating its commitment to Digital India and Make in India. Yes, airtel is NO.1 in india with regards to 3g, where they have almost covered pan india (20circles) this is really a good sign. also bsnl is the only operator who has pan india presence in 3g network. @guru practically in India there is no 1 operator. Because in India operator’s subscriber base and network quality varies circle to circle .